1) Praxis has been ranked second among full-time analytics program in the country. Congratulations! What do you think has contributed to this success? a) Capability: Our team recognized, as early as 2011 that data science as a discipline was set to explode, leading to a near crisis in the availability of trained manpower. We are fortunate to have people with a unique blend of excellent academic pedigree and considerable industry experience leading the curriculum design, pedagogy and delivery of the program. Dr. Prithwis Mukerjee, who heads the program, is part of AIM’s list of top 10 academicians in India. b) Agility: As Darwin said, it’s not the most powerful species that are likely to survive but the most adaptive. Our team excels in keeping track of the latest developments in this nascent science, and incorporating changes in the curriculum that keeps it ‘always contemporary’. We are usually ahead of competition when it comes to adopting bleeding edge technologies and techniques and making sure that our students graduate with skills for the future. c) Intent: Praxis differentiates itself on the basis of the honesty of its intent. I lead the campus placement program for Praxis. I have worked with other colleges, but have never seen the same level of concern for the student’s career anywhere else. This concern drives all our processes and, as they say, if there is intent, results will happen. 2) Tell us about the partnership with Pune University and Andhra Govt’s International Institute of Digital Technologies to design and deliver analytics programs for them. Is this part of a strategy for growth? We see this as an opportunity to extend our reach and touch more geographies and students. 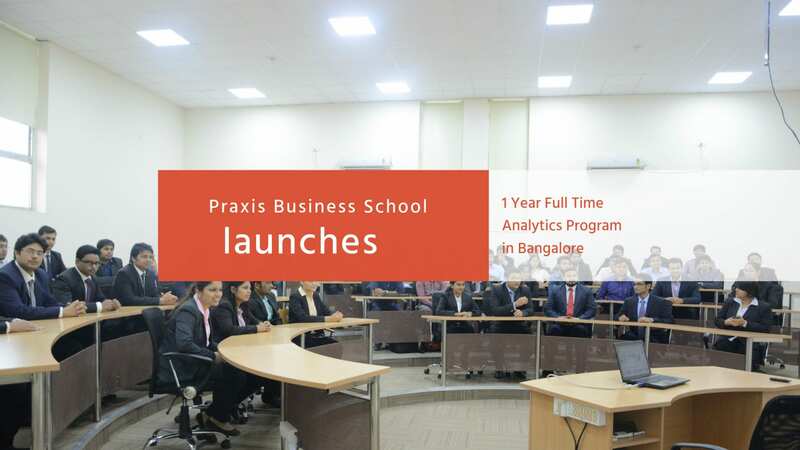 It also strengthens brand Praxis, when an ambitious Government initiative and one of the top Universities of the country select Praxis as their analytics partner. We find it comfortable to grow through collaborations – the idea is to get the right partners. Moving forward, we look at growth through both our own ventures and partnerships. 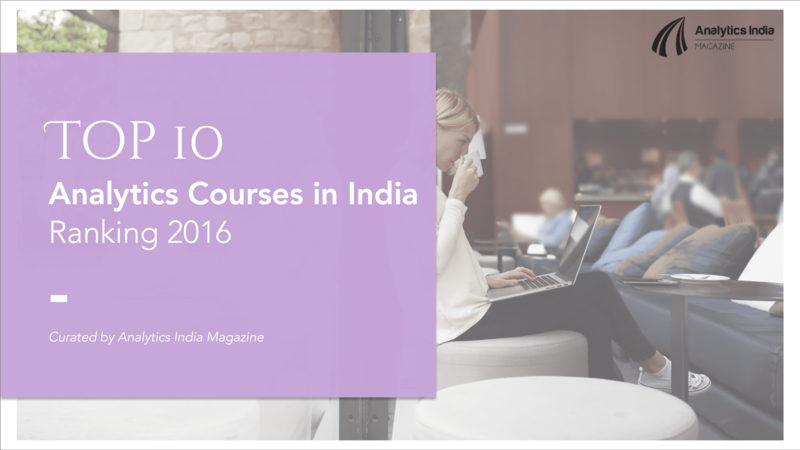 3) Praxis has expanded to two campuses in Kolkata and Bangalore. So what is the typical profile of students that join these full-time programs? 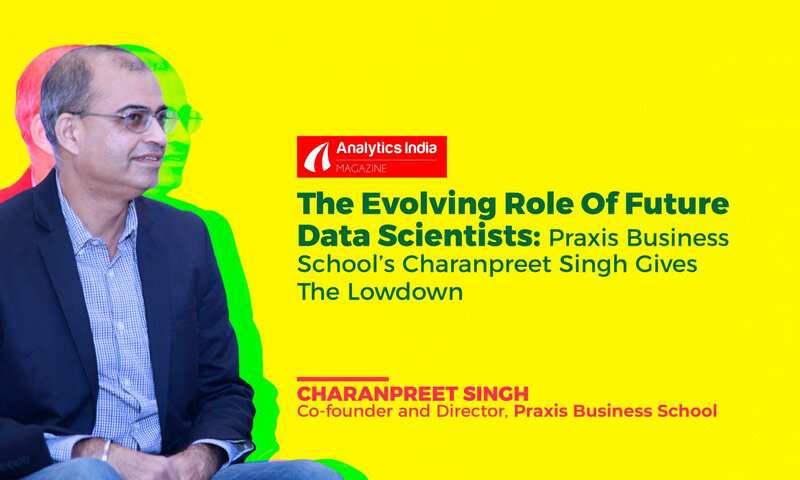 4) Praxis is a veteran in analytics recruitment, given the age of the discipline. How different are analytics recruitment from traditional management recruitment? 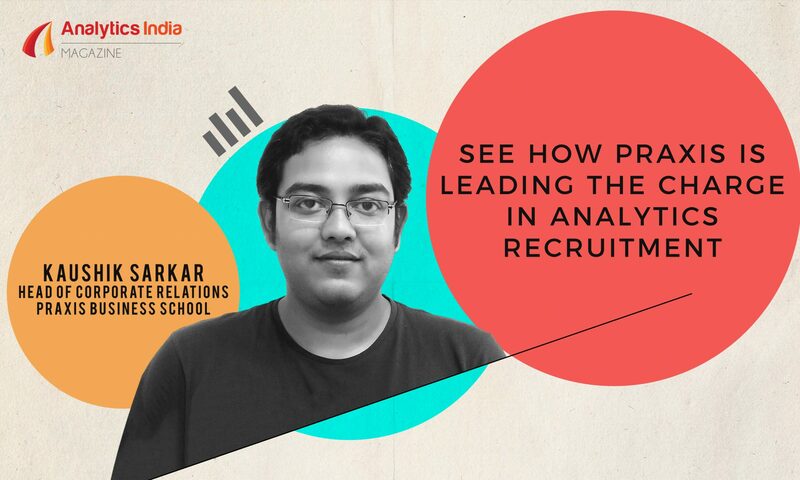 While management recruitment are driven predominantly by HR-led campus recruitment teams, line managers and analytics professionals play a significant role in selecting the campuses they visit for analytics recruitment. The second difference is in the level of expectations. Data science or analytics recruiters set the bar very high — sometimes even unfairly so — they look for what is popularly called ‘the full-stack data scientist’ who is an expert in the techniques (statistics, machine learning, visualization, deep learning etc. ), technology and tools (Python, R, Tableau/ Qlikview, Hadoop/ Spark etc.) and business understanding (application of tools and techniques to solve real business problems) – and of course a high level of overall analytical skills. We strive hard to ensure the candidates measure up to these expectations. The third difference, which is a corollary of the second, is the recruitment process itself, which is far more rigorous and demanding than a typical business management process. Interview processes can include a combination of the following: pre-assignments that students have to work on and present during the interview, written tests with aptitude as well as technical components, on-the-spot business situations that students have to address using analytics etc. 5) Praxis gets recruiters from BFSI, Retail, Telecom, Healthcare, Media, IT, and over 200+ alumni currently working in this domain. According to you, what do these recruiters essentially look for in a candidate during the hiring process? While there are some differences among recruiters across sectors and even within sectors, there is some convergence as well. The standard attributes that a recruiter looks for are deep analytical and communication skills, and a positive attitude. In data science specifically, we believe that hirer is seeking a self-starter and problem solver. The science is so nascent that a new recruit does not have an ecosystem that will support her and hold her hand while she learns the ropes. At a granular level, companies look for knowledge in specific techniques and tools that form part of their data science environment. And finally, the ability to tell the story – is the candidate able to describe her project in a compelling manner to the interviewer? 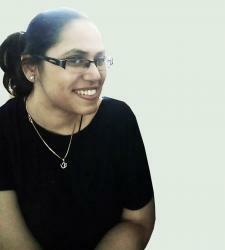 6) How does the college prepare the students for the placement process? We are a college that imparts education aimed at arming the students with the relevant skills and knowledge for their careers. We do not have a separate program that prepares students for interviews – our belief is that that should happen as a natural consequence of the excellent education they receive. We focus on ensuring that the right companies with right profiles participate in the campus placement process. This has worked pretty well for us — we have had a phenomenal 90+ placement numbers across all batches. The alumni play a big role, though, in setting the right expectations for the current crop of students. We organize regular sessions with the alumni who educate the batch about the kind of work they do and the time it took them to get there. We also encourage students to do projects on their own and take part in competitions on platforms like Kaggle. Teams from Praxis teams have finished in the top 3 in various national and international hackathons over the last couple of years. As we keep discovering and adding more companies to our panel of recruiters, Praxis is privileged to have a high degree of ‘repeat purchase’ – i.e., a high percentage of our recruiters come back to us, batch after batch. This is the best endorsement of the quality of our program and our students. 7) Being in the vantage position of interacting with a lot of recruiters on a regular basis, can you tell us about the career options in analytics and data science field and what’s the future outlook? There has been an explosion in terms of hiring has still not happened in the field of analytics. 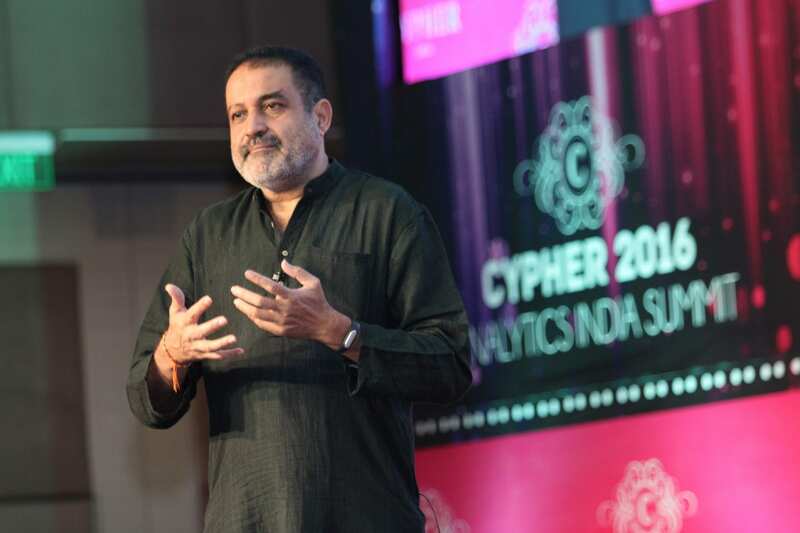 Especially in India, we are seeing the tip of the iceberg as corporate India discovers the inevitability of mainstreaming analytics and starts building teams. With the introduction of emergent technologies like IoT, Blockchain, AI the gap between the jobs and resource availability will in fact widen. The recruiters will start looking at more skills hence keeping oneself abreast with the same becomes more relevant. The future of the industry is full of excitement as more and more data is being collected every second and deriving insights from them becomes all the more essential!